Egypt sentenced its first democratically elected president Mohammed Morsi to 20 years in prison today, found “guilty of intimidation and violence” towards protestors in 2012. He was acquitted of charges related to killing protestors. Morsi, who is a Muslim Brotherhood member, was the president of Egypt for one year after the revolution, which overthrew Hosni Mubarak, who ruled Egypt for more than 30 years. 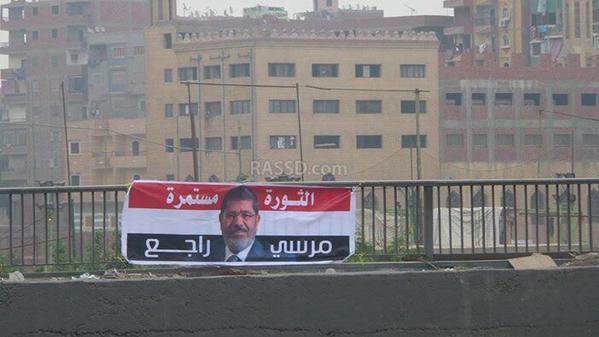 Morsi's reign was cut short in July 2013, following massive protests calling for his ouster. Then, the Egyptian Army took command, under the leadership of Commander-in-Chief of the Egyptian Armed Forces and Minister of Defence General Abdul Fattah El Sisi, who was later on elected as the new president of Egypt. Stay tuned as the Morsi saga continues in Egyptian courts.